Much has changed in the world of wine since 1992, the year that Sandy Block, vice president of beverages for Legal Sea Foods, earned the designation of Master of Wine from The Institute of the Masters of Wine in London. Sandy lecturing at Boston University. Sandy was pursuing his doctoral thesis in history when “…the fellowship money ran out,” he explains. In need of an income, Sandy began working at Le Bocage, the famed Watertown restaurant. It was his fluency in French, rather than wine, which led to Sandy moving into the restaurant’s sommelier position. “Most restaurants had French wine lists then. I didn’t know wines, but I spoke French,” he says. 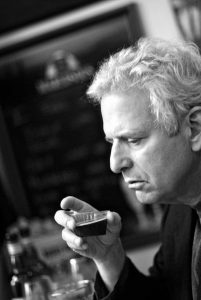 Sandy may not have known wine when he first donned a tastevin, the silver cup which a sommelier wears around the neck, but that too has clearly changed. 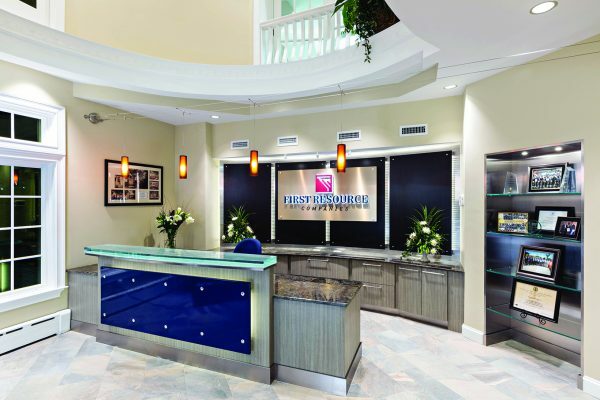 After leaving Le Bocage, and prior to joining Legal Sea Foods, Sandy worked with several regional wine distributors including Branded New England, Horizon and Whitehall, where he served as vice president of importing and distribution. 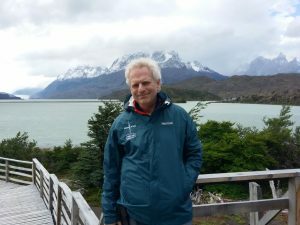 Sandy on a visit to Chile. 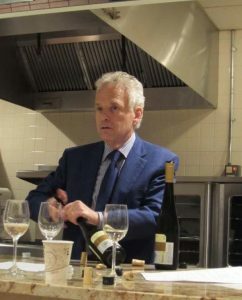 During his tenure at Legal Sea Foods, the company has grown from “one brand and one wine list,” says Sandy, to offering a wide-ranging array of brands, including Legal Test Kitchen and Legal C Bar, in several states. That “one wine list” has morphed into a series of wine lists, each tailored to specific locations and brands within company, craft cocktails menus, and beer lists that cater to craft beer aficionados. When choosing wines for the company’s lists, Sandy has adopted a system that is reflective of the examination process he underwent at The Institute of the Masters of Wine; the blind taste test. “Most of our tastings are blind,” says Sandy of how wines are selected for Legal Sea Foods. Rather than considering a particular trend or the marketing efforts of a wine maker or distributor in determining selections, he and a panel of tasters rely solely on taste. Sandy requests wines of a certain variety and price point from distributors which are then sampled in a blind test. Sandy savors a wine’s aroma. In addition to overseeing every facet of Legal Sea Foods’ extensive beverage program, including procurement and employee training, Sandy is a contributing editor for the Improper Bostonian. He is also an instructor at Boston University where he teaches several courses on beer and wine, one of which is at the graduate level. He is also very much a teacher in his position at Legal Sea Foods where he has created a program for servers and bartenders that offers 18 hours of coursework focused on wine, beer and spirits. Nearly 3,000 employees have completed the program. For those that have completed it, Sandy offers upper-level seminars. From one who, by his own admission, “had no background in wine” to Master of Wine; clearly Sandy Block has undergone an evolution of his own. 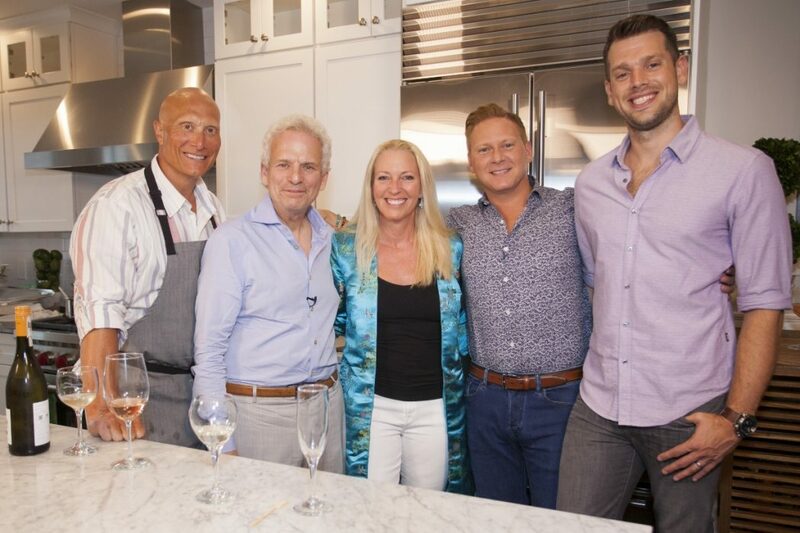 Top photo: Sandy Block (second from left) with Rich Vellante, Legal Sea Foods’ executive chef and executive vice president of restaurants, Host Parker Kelley, and Mike and Paul, the owners of the home featured in our Boston Seaport episode.